Charlene needed a clean, modern, and budget-friendly brochure website for her Niagara area mystery shopping company. We accomplished this by offering one of our pre-made mini-website packages. 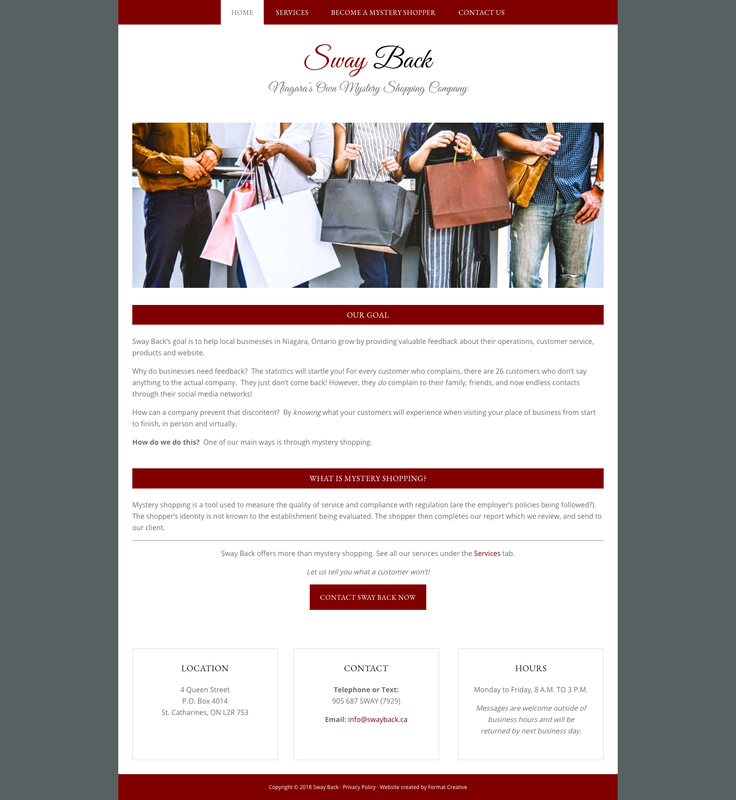 This package is a budget-friendly option that allows some minor customization to make each website unique to our clients, while ensuring that the visitor focus is on the content. Some fun animated text, and well-organized content made this design sparkle. — Everything you need for a small business website. 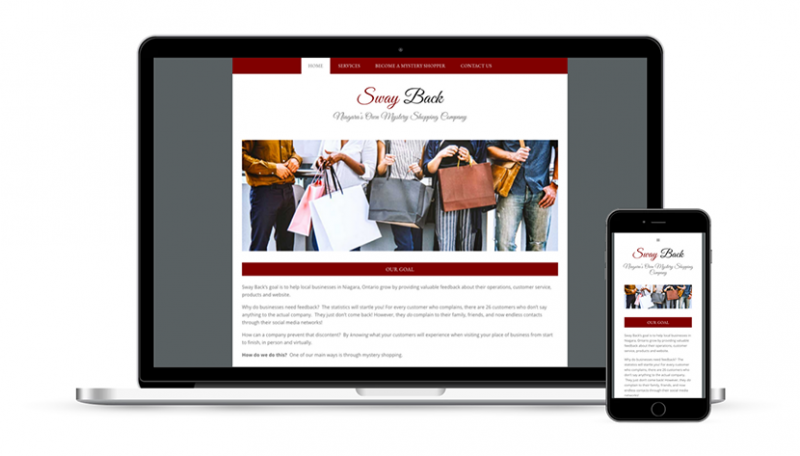 Are you looking for a budget-friendly small business website? Let’s chat.